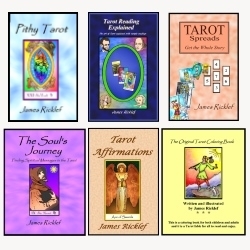 I am pleased to announce that my recoloring of the RWS Tarot deck is now available for purchase. To create this new version of this classic deck, I first cleaned up the black and white line drawings of the cards used in the 1911 book, The Pictorial Key to the Tarot by A.E.Waite to make them crisp and sharp. I then electronically colored the cards in a way that brings them vividly to life for a 21st Century audience while using a coloring scheme reminiscent of the 1910 Waite deck. Click here to order a copy of this deck.